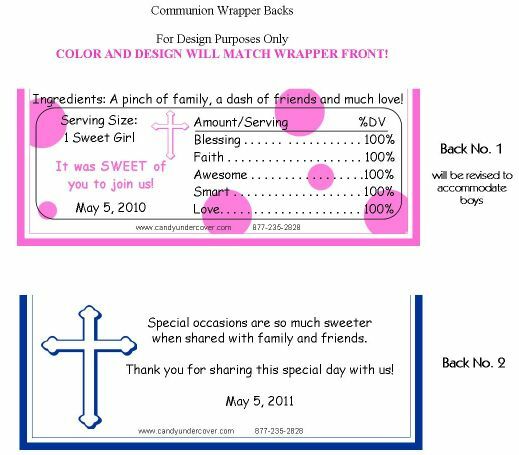 Our Blue and Brown Polka Dots First Communion Candy Wrappers are HOT HOT HOT! Blue and Brown are the "In" colors for a boy, and this candy bar wrapper is no exception. 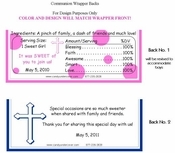 Complete with a blue cross, your son's name and date of Communion, this Communion Chocolate Wrapper had it all!